That the aging equipment, nonlinearity, and other external factors combine to make one-order plus time-delay process model be uncertain in Heating, Ventilation, and Air Conditioning (HVAC) makes the initial control parameters ineffective. Aiming at one-order plus time-delay process model with uncertainty in HVAC, the Model-Free Adaptive Control (MFAC) is introduced in studying the control characters. The changes on the overshoot and settling time are simulated and compared with PID, which shows that MFAC has good stability and anti-interference and is insensitive to the change of time-delay. Therefore, it is proved that MFAC is suitable for solving the problem of control failure caused by changing time-delay. However, there are no good methods for the parameters setting of MFAC, which makes it difficult to find the optimal controller parameters. Aiming at the condition, the simplex method is used to optimize the controller parameters and the first-order inertia plus time-delay model is regarded as the controlled object in this paper. The simulation results show that the MFAC parameters optimized by the simplex method have good control results. 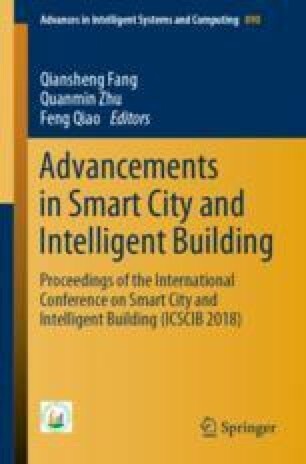 This study was supported by the National Key Research and Development Program Project (2017YFC0704100), the Special Research Project of Shaanxi Science and Technology Department (2017JM6106), and the Xi’an University of Architecture and Technology Foundation Fund Project (JC1706).